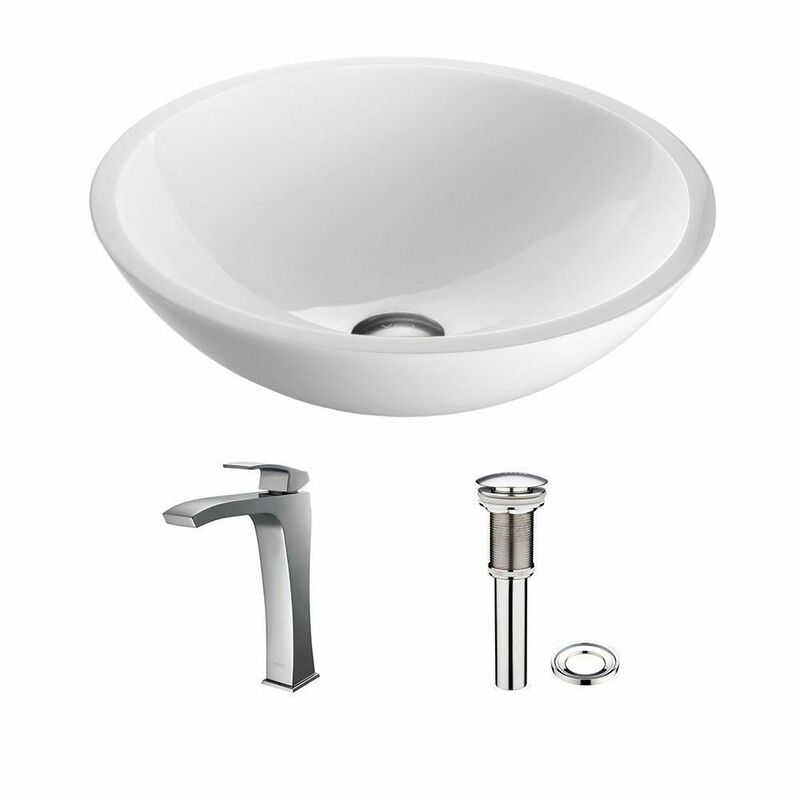 Flat Edged Stone Vessel Sink in White Phoenix with Blackstonian Faucet in Chrome is rated 5.0 out of 5 by 2. Rated 5 out of 5 by Joy10035 from Vigo vessel sinks I bought 2 for my master bath. They are so unique and when people see them they are surprised at how pretty they are. Rated 5 out of 5 by Joy10035 from Very modern and looks great in my master bathroom I remodeled my master bathroom with new granite and sinks. These look very nice and I love the pop-up drain. I've never seen anything like this before. What a fun addition to my bathroom.